I love Baker Mayfield. I really do. The talent, the swagger, the beard. Oh, and we’re talking Draft Kings, so don’t forget the value. The thing which makes this week most appealing to me, specifically, though – the opponent. Baker Mayfield doesn’t like Hue Jackson, and when you combine this with the fact that he gets to play against a defense which is coached by Hue Jackson… You can’t go wrong. 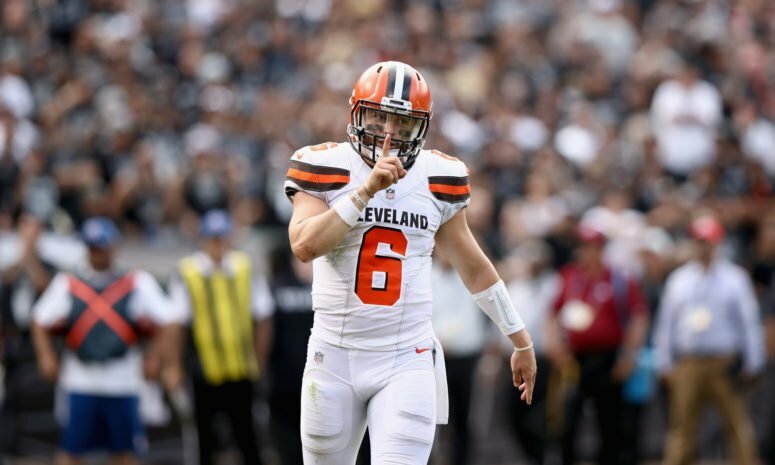 At $6,100, Mayfield is affordable and will be out for blood, at home, this weekend. If you can’t work out the acronym, you’ll soon come across it on social media after this weekend. 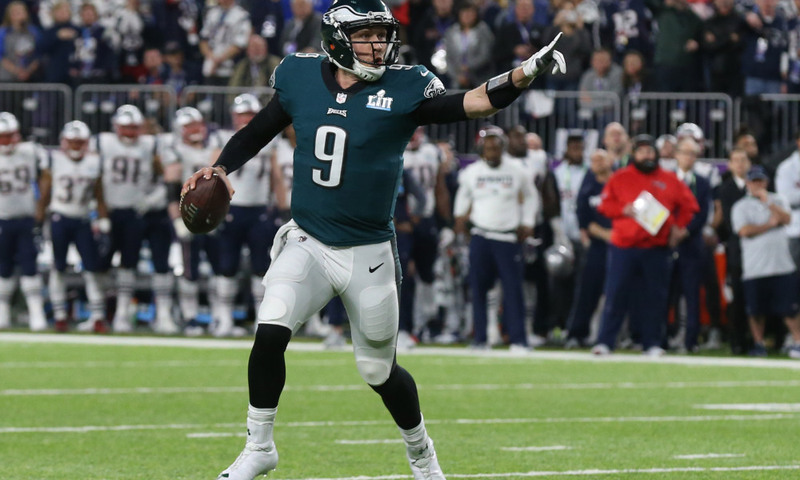 Super Bowl MVP Nick Foles is going home to ‘Philly Philly’ and he faces the Houston Texans, who are deceptively playable for QB’s and WR’s in fantasy. Houston are listed on DK as the 16th opposition ranked against the Quarterback, and their defense looks pretty scary up front as we all know – but over the last few weeks they’ve actually been really bad in the secondary, giving up a 30-point game from Andrew Luck and a 21-point game from an inconsistent Sam Darnold, in their last two outings. For an absolutely ridiculous price of just $4,700 you can pick up Saint Nick and win some more spending money this Christmas. A common mistake in fantasy football is to get caught ‘chasing points’, which is what happens when people just start a player the week after they have a big game, to try and hope for it to repeat. This week, that’s exactly what I’m doing, and I’ll explain why. 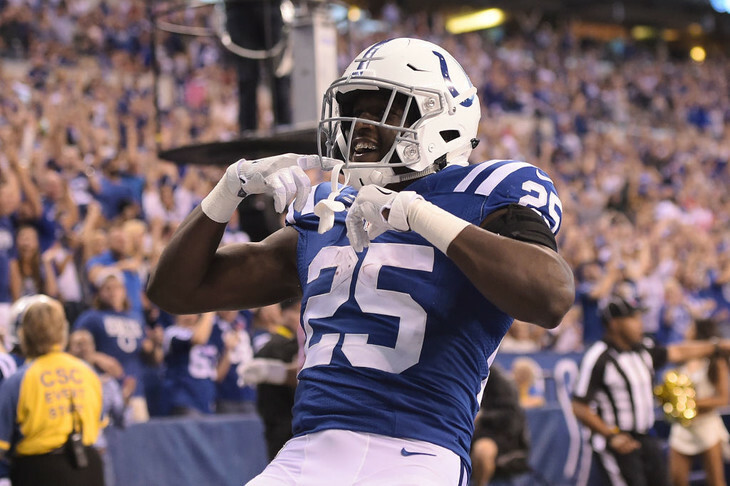 Last week Marlon Mack scored 29.9 points on DraftKings – against Dallas. 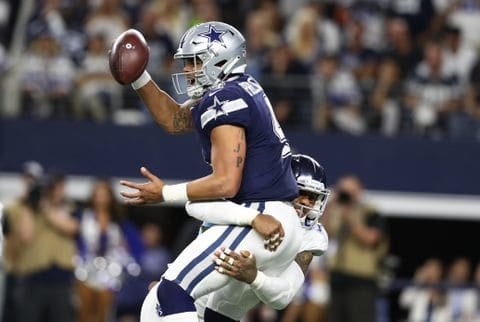 The Cowboys defense, which has proven itself week-in-week-out as a very strong, and well coached unit, couldn’t stop him. Now yes, last week the Colts manage to shutout the ‘boys and they won 23-0, affording Mack his season-high in carries (27), and I can’t promise the same – but guess who else couldn’t score any points last weekend… The New York Giants. For $5,500, the second-year Colts RB is an absolute must-start against this pathetic Giants run defense. It’s week 16, which has something in common with week 17, a few teams really don’t have anything to play for anymore. There are a few teams every year which are no longer in contention for the Playoffs and their fantasy assets have a couple of question marks beyond the injury report. Cleveland are the opposite. The Browns are fighting for every win and are as passionate as any team in the playoff race. One player who is benefitting from this is Nick Chubb. The Browns 3rd most celebrated rookie has shown explosiveness and talent when given a chance, and now he has earned the lead role in the backfield. 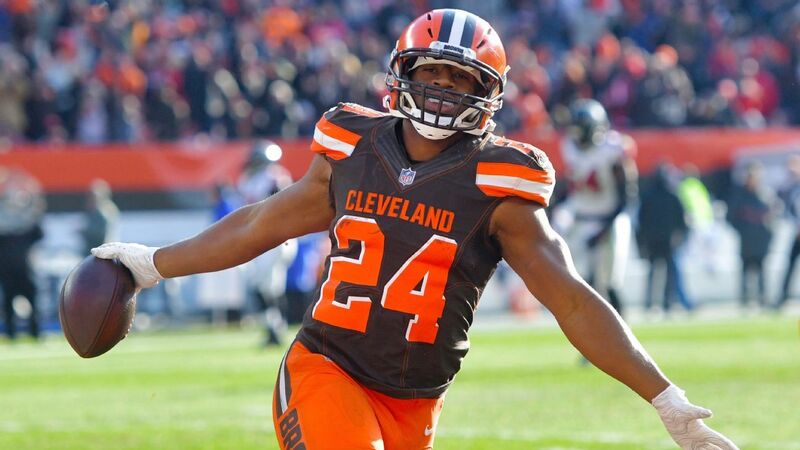 Against the Bengals, I expect the Browns to put up a lead, and then just give the ball to Chubb and let him bring home the win on the ground. At a relatively expensive $7,300, some people will be scared off, but I’m firing him up and waiting on one of his big plays. I didn’t like the matchup for the Eagles last week, so I didn’t go with Foles or Alshon, and they proved me wrong. 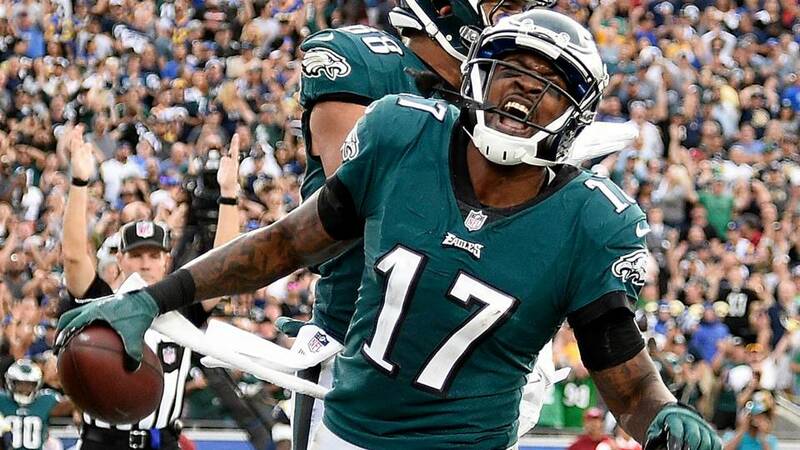 I’ll tell you a fact; Alshon Jeffery is a top 12 fantasy receiver when Nick Foles is his Quarterback. Philly impressed, and surprised us last week for sure, but now they’re back at home and facing the Texans. Just like I said with Nick, the Texans are beatable, and whenever you have #9 running the offense, Jeffery is a great fantasy play. At only $5,300, I think he is the best value WR all week. It is incredible to me that I can stack Foles and Jeffery for only $10,000 – and that stack could realistically put up 40 points to start you off for a winning week. Foster is a good example of when chasing points works out. A couple of weeks ago he put up 20.4 points, and then he comes out next game and hits 23.8. Third time’s the charm? 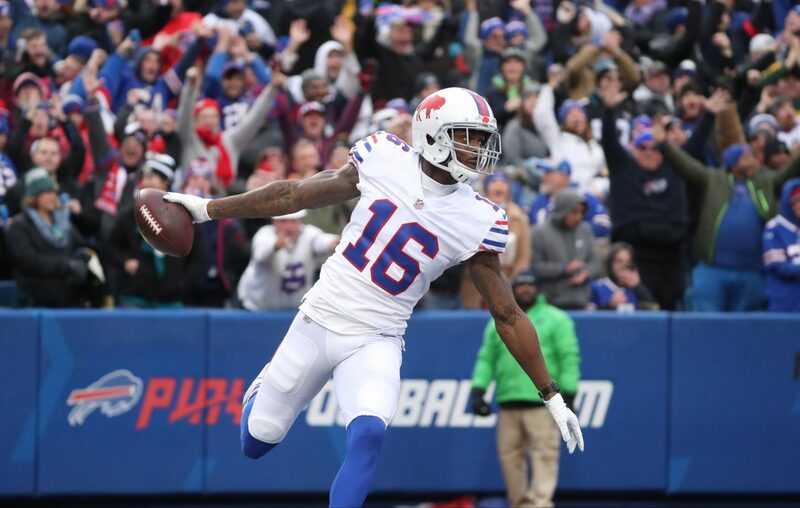 Now I’ll be the first to say, cynically I admit, ‘surely, he can’t drop 20 points again, not against the Patriots?’ I would understand that logic, but I believe in the Bills breakout receiver. There are rumours that Zay Jones is going to be the target of Stephon Gilmore’s shadow coverage, which opens up for Robert Foster to run through this defense. When you are spending $4,900 on a WR3, you can’t pass on a realistic upside of 20+ points. If you’ve been following my picks over the year, you’ve seen me gush over Amari Cooper, and you’ve probably made a fair share of money too. In week 14 I told you to pick him and he scored 52.7 points. Now obviously I can’t promise to recreate my best tip of the whole year two weeks later, but on this slate, I’m starting Amari Cooper and expecting big things again, this time against the awful Buccaneers defense. At $7,500, Coop costs the most he’s costed all season, above $7,000 for the first time since week 1, but I am still firing him up for that elite upside. 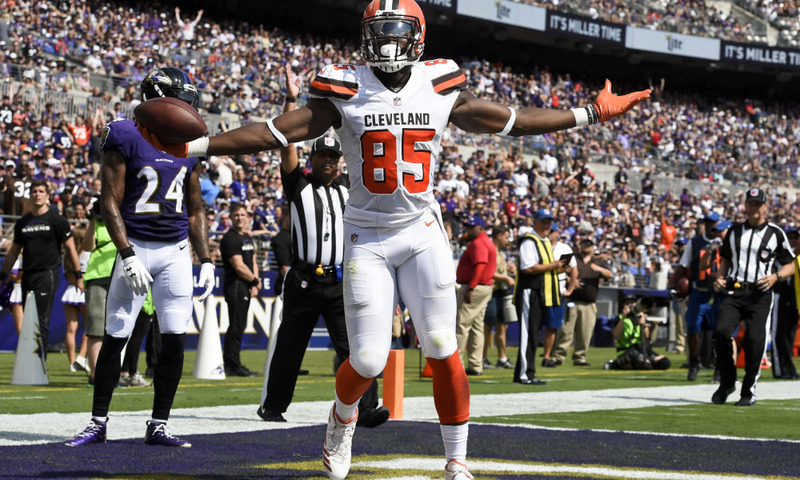 I hate to repeat myself, so I won’t keep talking about the passion of the Browns, or Mayfield’s talent, but there is one final Browns player I’m excited about this week, David Njoku. The Bengals D looks much less scary than it has in the past, and they’re ranked 28th against the Tight End position, which bodes well for one of the most exciting young players at the position, Njoku. If he scores a TD, his upside doubles, but even without the score he always gets volume and can make big plays – a great value at $3,800. I want a piece of this Rams offense, this week. Should I spend $9,200 on Todd Gurley? How about we flip that number? For just $2,900 I am choosing, instead, to roll out Gerald Everett. I guarantee that at least one person who’s reading this article doesn’t even know who that is. 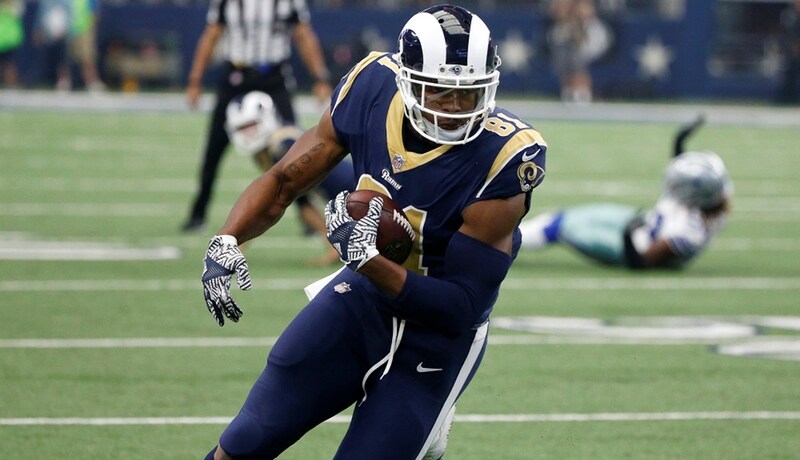 Everett is a second-year Tight End who is becoming more-and-more involved in the Rams offense, and who has big upside built in with the sheer power of the scoring-machine that is Sean McVay’s Los Angeles team. He scored 20 points against the Chiefs in week 11, if you want proof of upside, and then he’s had two weeks in a row with startable performances, with 7 and 10 points against Chicago and Philadelphia respectively. I don’t spend money on Defenses, I’ve made it clear enough by now. 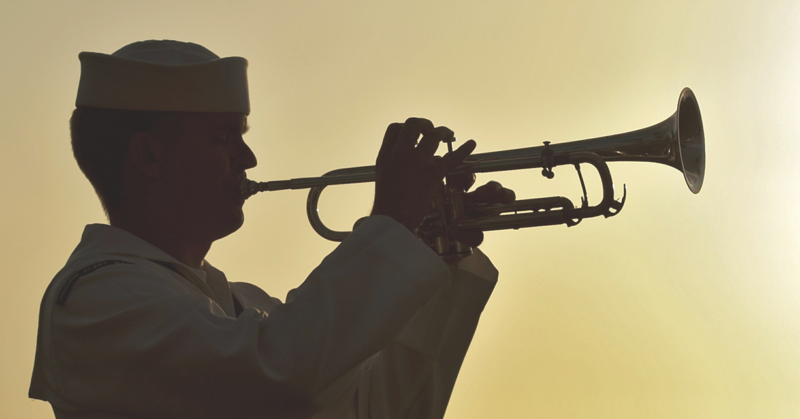 I look for a bargain with turnover upside, and I roll with it to save money. This week it’s the Falcons, who are facing the Panthers. This would usually be a scary matchup, especially on the road, but not without Cam Newton. The Falcons can stack the box this week and force Taylor Heinicke to throw the ball. 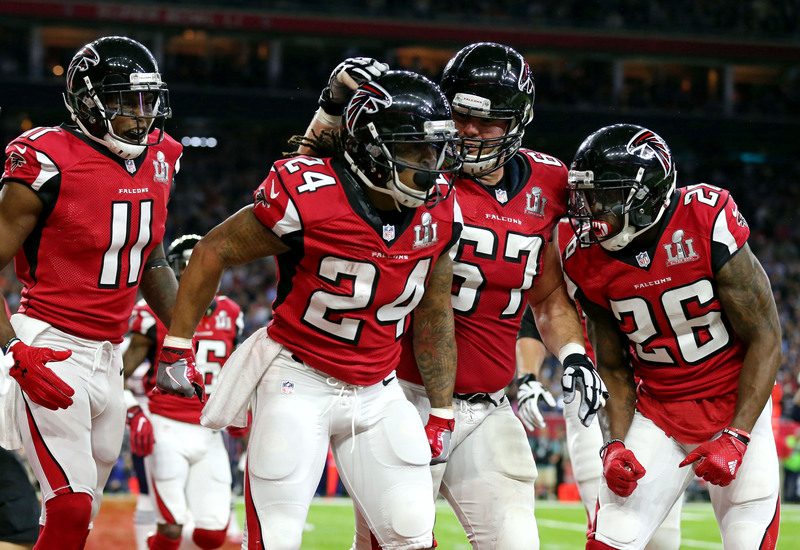 I’d be disappointed if the Atlanta D didn’t get at least two turnovers and a few sacks.